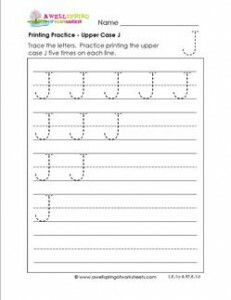 Do a jazzy job with the upper case J. With a jump and a jingle and jinormous joy trace and write the J’s five times each. Don’t be in a jiffy. Just take your time and don’t joke around.